Wildlife NGO confirms that 5 new nesting paris have emerged in New Jersey. A new wildlife survey performed by the Conserve Wildlife foundation, a New Jersey-based NGO showed that the bald eagle population is on the rise. Furthermore, it would seem that 5 new nesting pairs have sprung up in the area around New Jersey. When it comes to true American symbols, it would seem that the bald eagle is the all-time favorite. 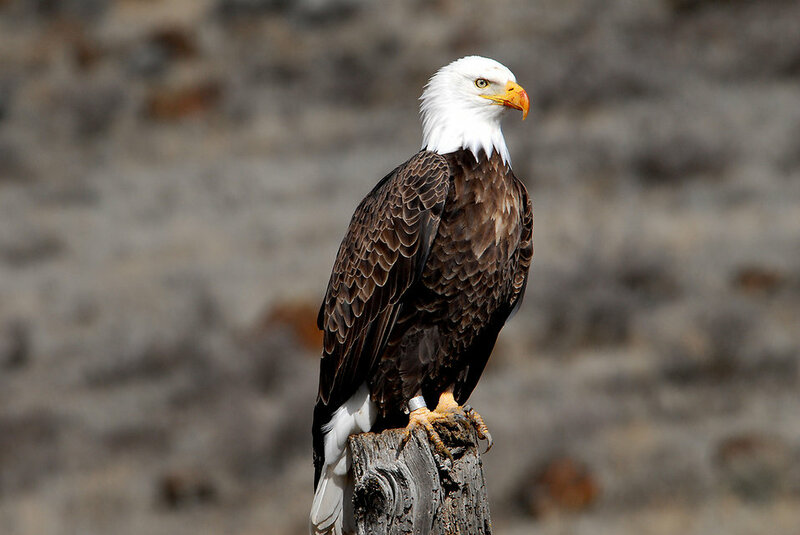 Also called the Halliaeetus leucocephalus, the bald eagle is a bird of prey. Most of us don’t know the fact that the sea eagle is actually a sea eagle and that there are actually 2 types of bald eagles. The Halliaeetus leucocephalus is the most common species of bald eagle, followed by the Haliaeetus albicilla, or the white-tailed eagle. The bald eagle’s diet consists mainly of fish. According to measurements, an adult bald eagle has a body length of approximately 102 centimeters and a wingspan of 2.3 meters. Moreover, the body of an average male can reach a maximum weight of 4.1 kilos. Since the American Government approved the use of DDTs in agriculture, the bald population slowly began to decline. According to the official statistics, in 1963, due to the heavy use of this type of pesticide, only 487 nesting pairs managed to survive in the wild. The situation was direr in New Jersey, were only one nesting pair remained. In 1972, after witnessing the effects of DDT on the environment, the American Government decided to ban the use of DDTs in agriculture. Not long after that, the bald eagle population started to show signs of recovering. And according to a survey performed in 2006, after 34 years since the Government decided to ban the use of DDTs, the bald eagle population skyrocketed from a mere 487 nesting pair to a whopping 10.000 nesting pairs. This change of heart has been observed in approximately 48 different states. The last survey of this kind was performed in 2015 and it showed some promising results. According to the data collected by the NGO from the Department of Environment Protection, it would seem that in 2015 approximately 199 younglings were born in the state of New Jersey. Nationwide, according to the same report published by the NGO, it seems that with the new additions, the total number of nesting pairs in New Jersey has risen to 161. The bald eagle population is on the rise, thanks to the relentless efforts of wildlife conservation societies who managed to keep this majestic bird from becoming extinct.